Hong Kong is progressively becoming a popular destination for those foreigners who wish to adventure life in a foreign country. They can either study, work or travel and visit different places. It is a modern country with ample of opportunities in computing business and also many more. In order to make the overseas migrants relaxed the courtly introduced a flexible immigration policy. Contrary to the other countries this country does not have immigration caps. The latest immigration policies made by this government made the aspiring the migrants feel hassle free to enter the country. So, in order to apply for a visa to this country, you must first come to know about the different types of Hong Kong visas available based on your need for entering into this country and the period of your stay and purpose. Guest visa: Through this visa the citizens of different countries can easily move into this country and some countries can enter without a visa like Germany, Italy, Spain, US etc. If you need the guest visa you should apply to the Chinese consulate or embassy from your hometown. Once you get the visa you are not allowed to change it to an employment visa. Work visa: In order to get an employment you should get a work visa. And you must have a sponsorship by the employer who is going to employ you. The applicants must meet certain criteria like education, work experience is considered. The entire process may take up to 6 weeks, once you issued now you can apply for PR for your spouse and children. Investment visa: This visa is issued for a self-employed people who are willing to start their own business in this country for this the applicants must put up their details like educational qualifications, business experience, planned business activities and financial assets. Student visa: If you want a student visa of Hong Kong, the sponsored educational institution should apply for the visa on behalf of you. Permanent Residence: This visa can be obtained if you show a proof of your living in Hong Kong is more than 7 years. Once you get a PR you can work and live anywhere in the country without a visa. If you leave the country for about more than 3 years you will lose your PR status. Domestic work visa: This visa is a two-year domestic work contract visa. The employees must live in their employer’s house. 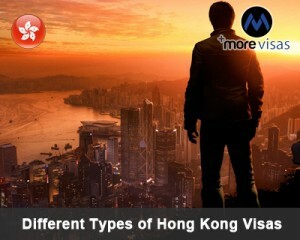 These above mentioned different Hong Kong visas assists many travelers or migrants, those who want to study or work or to live permanently can choose any one of these visas based on their purpose of interest. If you are interested to apply any type of visa fill out our Enquiry Form, so one of our visa expert will get back to you.